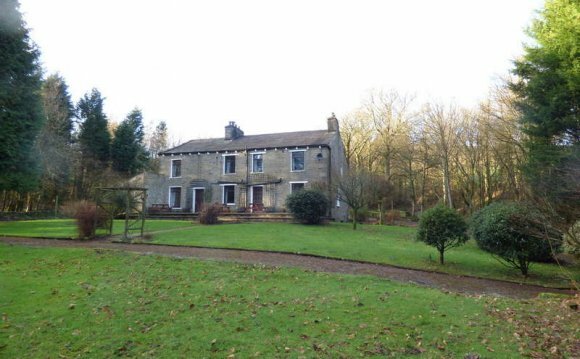 Cobble Country Property is located in Sedbergh. This quaint town is situated in Cumbria, but falls within the boundaries of the Yorkshire Dales National Park. The Lake District also happens to be very close, making the area a very desirable location. Cobble Country was established in 1992 as a centre for property marketing in the Sedbergh area by a local resident of 30 years. Nigel Close is energetic and forward thinking with his ideas for business development around the beautiful area that he grew up in. He has witnessed first hand how many Estate agents come from outside of Sedbergh and don't fully appreciate the 'added value' of the area. Hence, Cobble Country Property being established by Nigel to promote property and business on a level appropriate to the comparitive values for properties in equally attractive areas. Its name derived from the questionable attempt of the Yorkshire Dales National Parks to 'import an historic cobbled road' to Sedbergh Main Street in the late 1980's. The Cobbles did not last long before a popular campaign - CROSS (Campaign Review Of Sedbergh Street) - was successful in its aim to win a review of this debacle that had seen many people receive serious injuries as a result of accidents on the uneven cobbles. Sedbergh Main Street was once again subjected to a major resurfacing, (this time with a narrower tarmacced single file road with Cobble gutters and natural Yorkshire Stone flags for pavements), and after the dust settled somewhat the town could get on with trying to promote and retain business for the traders against a massive explosion of supermarkets competition across the country. The late nineties were grim times for the town's traders as visitor numbers dwindled and higher business rates and supermarket competition drove many traders out of business. The Foot & Mouth period of the early 'noughties' really squeezed the economy as the fires raged all around and yet the disease never actually arrived in the area so compensation monies to farmers were of no match to the actual effects on incomes. Traders likewise suffered from a strangling of the income stream necessary to maintain profitable business. Business Initiatives spawned from those dire times were as a result of a coming together of many local groups such as, Parish Councils, and the and a very heightened buzz is in the air now around this historic town granted a market charter by Henry III in 1251. Cobble Country Property specialise in working to evaluate maximum benefit from any given property position and their most recent additions to the Property Management team have strengthened their capabilities to offer the premier service to clients whether Selling, Renting for Long or short lets, or considering the Holiday agency. Latest technology used both in house and linking with our major International marketing partners ensure that we can offer a full remit of Sales of properties both in this country and abroad as well as special access to 'DISTRESSED SALES' where prior notice is given to signed up members of many opportunities to secure properties at below market prices.